In a technical joint venture, Hyundai motors have partnered with Michelin for creation of tyres for its upcoming Electric Vehicles. The joint venture will oversee development of premium All-Season tyres for EVs. This partnership will also see Michelin creating bespoke tyres for Hyundai’s premium vehicle Genesis G80 Saloon. Senior level executives from Hyundai visited Michelin headquarters in Clermont-Ferrand, France, to sign the technical partnership. This strategic move by Hyundai is backed by Michelin’s on-going extensive R&D in developing tyres for Electric vehicles and their unquestionable prowess in developing high quality tyres for passenger car tyre segment. 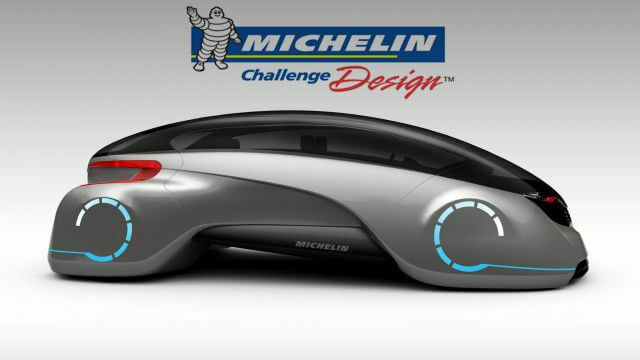 The fact that Michelin is the only official tyre supplier for Formula-E racing as well as Roborace is indicative of the in-depth understanding the French Tyre giant possesses for creating tyres that would be used on upcoming futuristic Electric Vehicles and Autonomous cars. This partnership also includes a cooperative training plan that would allow tyre designers at Hyundai to closely work with Michelin Engineers and understand the nuances of tyre testing and analytical research in this field. While the two companies would work towards optimizing the fuel efficiency and performance of Hyundai electric vehicles, Michelin would actively work towards creating bespoke tyres for Genesis G80. With G80 being a luxury vehicle, its tyres would be required to offer exceptional traction, superior ride comfort, responsive braking and long tread life.